The families of William Weiner’s parents went through a hard life during the Second World War, experiencing evacuations, long enforced expatriation and the horrors of concentration camps… Kiev, Uman, Cherkassy, the years of the emigration to Holland, return, the exile to distant Kazakhstan, the evacuation to Kyrgyzstan – these were the ways, eventually leading the family to the capital of Armenia, where in 1955 little Willy came into the world. Willy Weiner now lives in his native city of Yerevan. He has become a famous composer and a brilliant instrumentalist. After finishing the ten-year music school for talented children after P. I. Tchaikovsky (1963-1974), he entered the Yerevan Komitas State Conservatory and graduated from it with honors, having attended violin classes leaded by Professor Jean Ter-Mergeryan (1974-1979). He has more than 30-year work experience as a violinist, then as an permanent author-composer with the Symphony-Jazz orchestra of the Public Radio and Television of Armenia, with which they did grand international concert tours and gave performances in various cities of the former USSR, France and Germany, and they made many recordings of the works of the celebrated Armenian composers, which were included in the Golden Fund of the State Television and Radio of the country. From 1979 to 1992, he devoted himself to educational work: he taught violin classes at Yerevan Children’s Music Schools after A. Danelyan and A. Spendiarov and in Yerevan Komitas State Conservatory. Meanwhile, he sang in the male chamber choir ‘GAYANE’ more than 12 years (1977 - 1989) and gave performances in 17 cities in France. With his personal assistance and participation, for the first time in the history of the Armenian musical culture a disc came out with the recording of the original three-voice Liturgy for the male chamber choir written by great Komitas, released by the company “Melodiya” in 1986. Willy Weiner’s social activities deserve special attention. He stood at the origin of the Jewish Community in Armenia. He has been one of the leaders of the Jewish movement since the 1970s. During the hard times of achieving Independent Armenia (1992-1995), being the leader of the community, he devotedly, with all his efforts and possible means, helped people by entering into cooperation with the Jewish charity centers in Israel, the USA, France and Canada. He searched out humanitarian aid not only for the members of the Jewish Community but also for the orphanages and hospitals in Armenia. For this outstanding service, he has received notes of thanks from different organizations and from Mr. Uri Gordon, the representative of Knesset in Sochnut in Israel for the organization of a series of prompt actions in order to save the life of the people in blockaded Armenia. In 1994, Willy Weiner founded the Jewish Cultural Centre “Menora”. There were a lot of festivals, concerts and cultural events organized under his leadership. The outstanding ones are the festival marking the 3000th anniversary of Jerusalem (1997-1998), the project of “Through Culture to Tolerance”, run in collaboration with the Ministry of Foreign Affairs of Armenia and Yerevan Bureau OSCE (2003-2007), and with the Ministry of Culture and the Ministry of Education of Armenia (2008-2013)… In the framework of this project in September 29 of 2005, in the National Academic Theatre of Opera and Ballet after A. Spediaryan, a big concert was played by the Symphony-Jazz orchestra of the Public Radio and Television of Armenia conducted by Yervand Yerznkyan with the participation of the best soloists of Armenia, performing the orchestral works of the composer Willy Weiner. Within the framework of the same project, in 2007, from July 17 to August 17, in Yerevan a festival was organized, which was devoted to the 120th anniversary of Mark Chagall… And in 2011 for the 20th anniversary of the independence of Armenia and the activity of the Jewish Community of the country, by the state order of the Ministry of Culture, the maestro’s collection “Piano pieces “in C”” was published, which became part of the libraries of the leading music academies in Armenia, Georgia, Russia, the Nagorno-Karabakh Republic, Israel and Germany. With great success the maestro’s concerts have already been held in the conservatories in Yerevan, Tbilisi, Moscow, Saint-Petersburg and Stepanakert, at Jerusalem Rubin Academy of Music and Dance and George W.Schaeffer Music Conservatory in Ma'ale Adumim as well as at the Cologne Academy of Music (2011-2013). Having an impressive violinist background of over thirty years, Willy Weiner has passed an impressive career route from a virtuoso instrumentalist to a world-known composer. Born originally in a Jewish family in Yerevan, he created a brilliant cycle of classical Jewish orchestral works presented in three albums: “Exodus,” “Dream” and “My People”. Weiner’s music has been performed by numerous artists all over the world, including Armenia, Georgia, Russia, Israel, Germany and many others. The delicate reflection of Jewish music traditions and history, usage of rich folk pallets as well as bicultural panorama make Weiner’s art unique and genuinely individual. In September 2008, the Composer was awarded with а title of Honorary Art Worker of the Republic of Armenia for his significant contribution to the culture of the Country for many years. Upon the occasion of the 30th anniversary of the Composer’s creative activity, Willy Weiner was awarded with the Honorary Diploma of the Ministry of Culture of Armenia for his significant contribution to the development of classical music culture of Armenia and for his remarkable achievements in the promotion of tolerance through universal values. It is worth mentioning that “Piano Pieces in C” were published in 2011 with the initiative of the Ministry of Culture of Armenia. The scores shortly gained a big demand by world libraries and as a result they are included in the repertoires of pianists from different parts of the world. 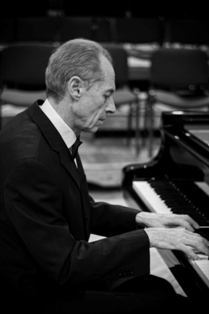 Willy Weiner is also an author of other piano, orchestral and chamber-instrumental works.